Home » Summer in San Francisco…One of our Favorite Cities! Summer in San Francisco…One of our Favorite Cities! 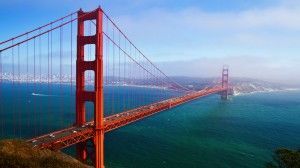 We love San Francisco so much, we decided to share some of our favorite summer activities in this wonderful city! Summer means lazy days. If you want a book for company, head to your nearest bookstore for some summer reading. The most famous bookshop in the city is City Lights. Inquire about good books to read that are set in, or about, San Francisco. Tender at the Bone and Comfort Me with Apples – By Ruth Reichl, and House of Mondavi by Julia Flynn Siler – This is the tale of the wine-making Mondavi family and how Robert Mondavi turned a Napa Valley industry into one admired and copied around the world. Then, head out to enjoy the summer the way the locals do! Visit the Treasure Island Flea on the last Sunday of every month www.treasureislandflea.com. A food lover’s delight, it also offers live music, workshops, games and entertainment. The longest running outdoor free music festival (76 years old this year) is the Stern Grove Music Festival. Every Sunday from mid-June to mid -August, the first of the season’s festivals is seen by many to be the official start of summer in San Francisco. Shruggie Otis are scheduled for August 4, and Pink Martini play August 11, amongst many other fantastic performers in the line-up. Join some 20,000 fellow picnickers, and see the best live music around for free. www.sterngrove.org . The Great Lawn at Fort Mason is the spot that yoga lovers gather every weekend in summer for Yoga Rocks the Park. Besides yoga, this is a platform for emerging musicians and a wellness fair and has become a hugely popular summer event in cities across the U.S.A. In San Francisco this year, Yoga Rocks the Park will take place on Saturdays from August 10 to September 14. www.yogarocksthepark.com. This is a taste of summer in San Francisco. TALK English Schools offers a number of tour options for students, both within the city and to surrounding attractions such as Napa Valley. Visit our website at www.talk.edu. What do you like most about San Francisco summers? Send us a link, photo or comment. TALK Student testimonial: Rina Nagano’s amazing year in San Francisco.